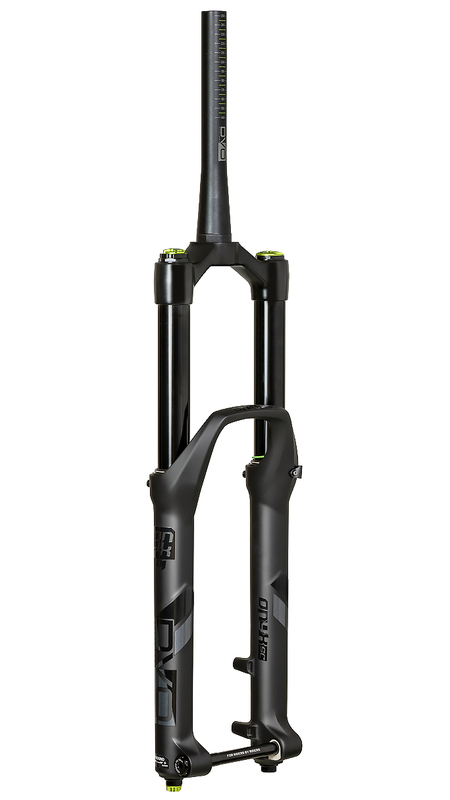 The DVO Onyx Single Crown is the little brother of the Onyx DC downhill fork. 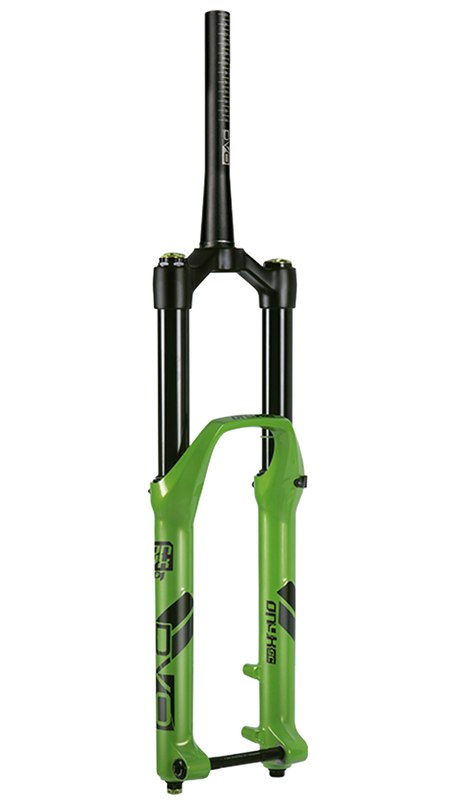 It’s DVO’s top of the line enduro fork featuring their stiffest single crown chassis to date. The Onyx SC is performance oriented but surprisingly user-friendly. The Onyx features shim stack controlled high and low-speed compression, dynamic rebound, and Off-The-Top (OTT) adjustment. 30 clicks of high speed compression and 6 clicks of low speed compression give you all the adjustment you need to dial in your ride. The Onyx’s rebound is dynamically controlled based on the speed at which oil flows through the system. The fork will react to whatever you throw at it and be ready for the next hit. With OTT, you can fine-tune the initial stroke feel without any mid or end stroke compromise. The Onyx features a Boost 15 x110mm axle which provides stiffer and more predictable handling. 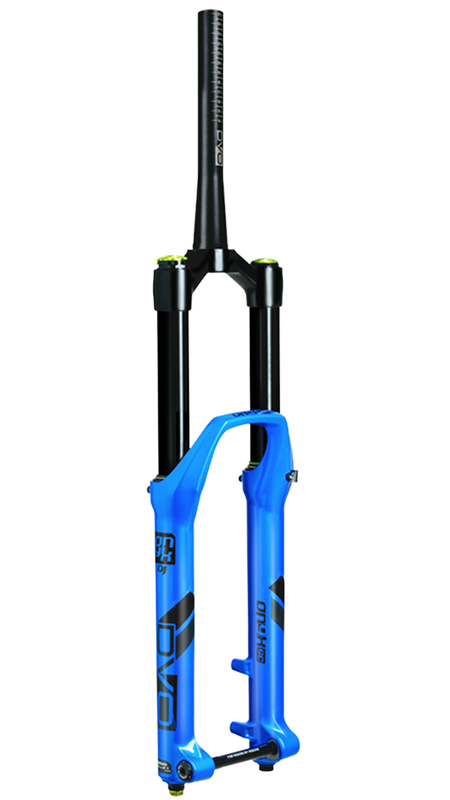 If you're looking for the ultimate fork to build your ultimate Enduro/Park rig, then you'll love the DVO Onyx SC.